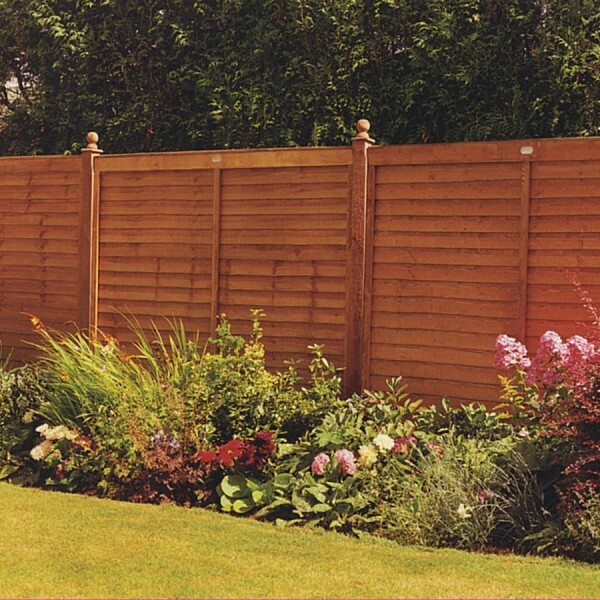 For stylish yet strong perimeter fencing, the Supafence Panel from Grange is perfect for the job. 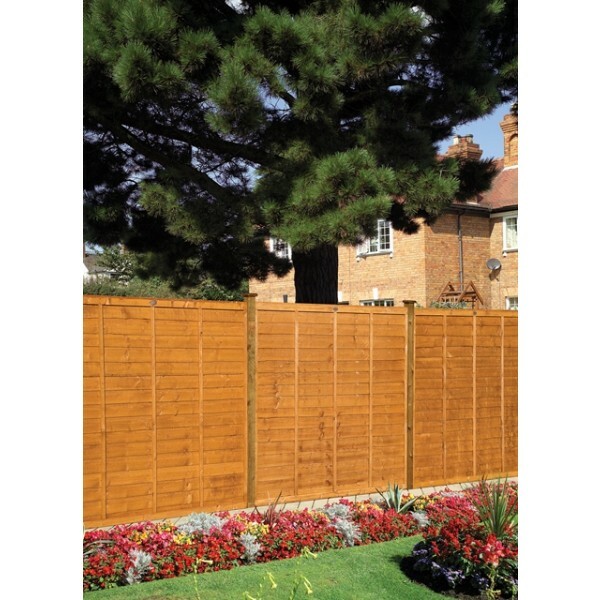 Part of a range of fencing panel options from this high quality UK manufacturer, the Supafence provides an attractive finish without compromising on performance. 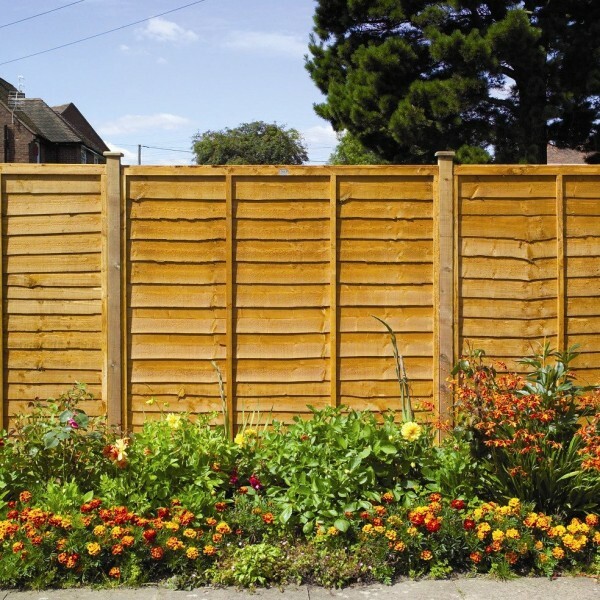 The Supafence Panel is dip treated, and this process provides the glorious warm brown colouring which looks so good in gardens large and small. However, the dip doesn’t just dye the timber, it also helps to guard against decay and rot, extending the life span. 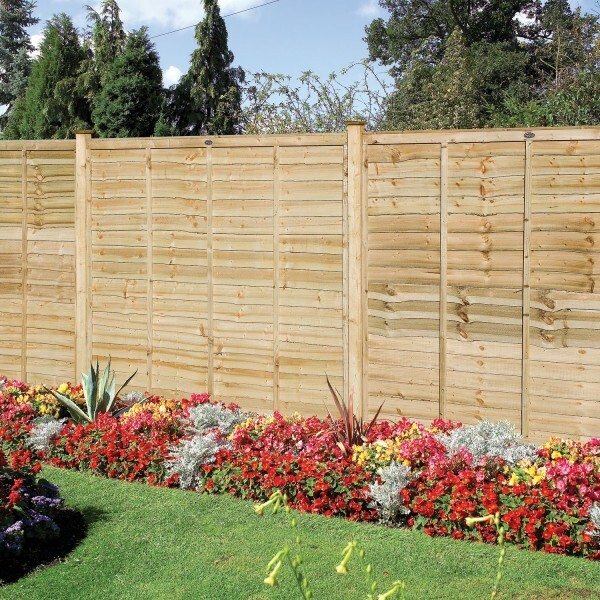 There are many styles of fence panels but the Supafence embraces the traditional waney edged slats. This means that the edges are left natural on both sides, so rather than harsh straight lines there’s a gentle, undulating finish on each slat. 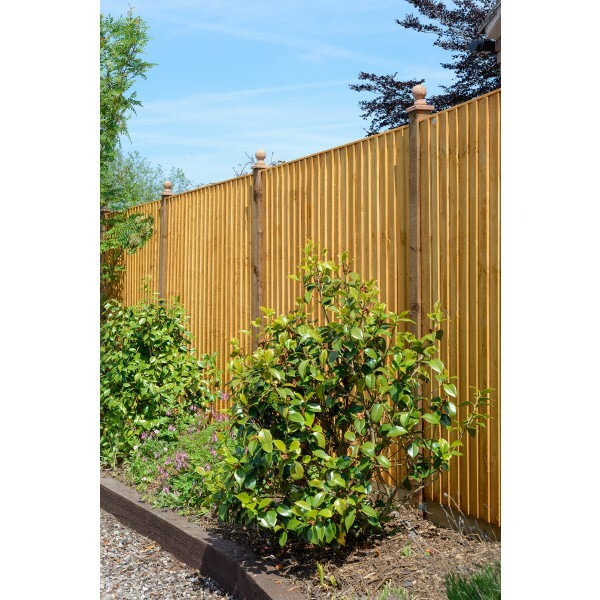 As well as the double waney edge design feature, the Supafence is also a particularly tough type of fencing, courtesy of its more generous framing and larger counter rails. 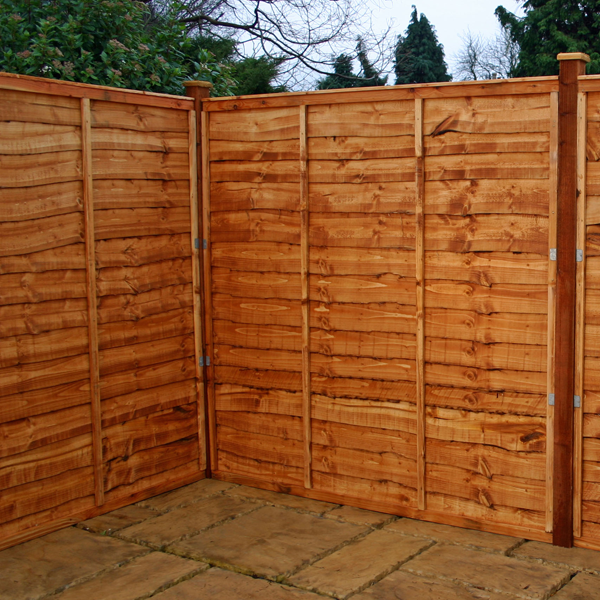 These elements provide superior support and strength, making this a premium fence panelling selection. 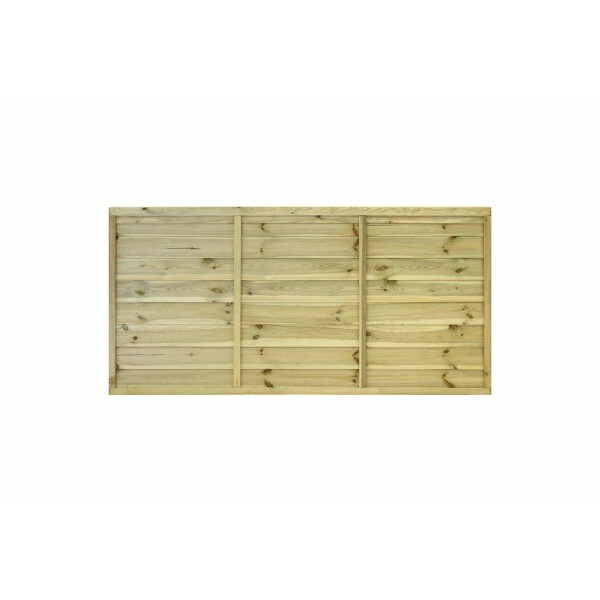 Every panel is 1.8m wide but there is a choice of four different heights. The front of the fencing features one central baton but there’s a further three batons on the reverse for extra stability. A minimum of three Supafence Panels are required to place an order. 47mm thick with 1 vertical batons on the front and 3 on the back. 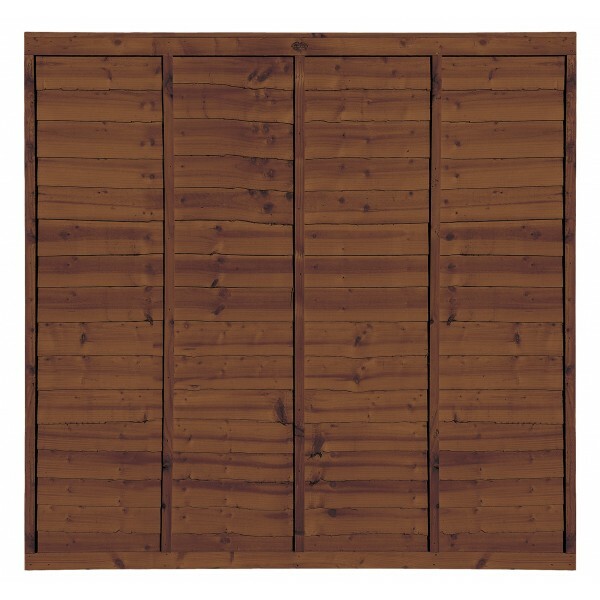 The Panel is pressure treated in a golden brown finish which protects against wood rot.